We're abandoning our scheduled posts this morning to bid a fond farewell to Peter Lehmann, arguably one of the greatest legends in Australian wine, and indeed throughout the world, who sadly died today aged 82. I don't think there's anyone in the industry that doesn't know Peter Lehmann wines, and many were also fortunate enough to meet the man himself: this morning, I have been regaled with tales of his wicked sense of humour, larger-than-life character, tremendous wisdom and passion for wine, and hilariously cheeky jokes. He was born in a town in the Barossa Valley, the son of a local pastor, and began his winemaking journey aged just 17 at the iconic Yalumba. There, he learned the craft, even working with Yalumba legend Wyndham Hill Smith, who Peter said "taught me the value of a man's honour." This lesson set him in good stead. Some 30 years later in the mid-1970s - after having gone on to work for Saltram Wines for 20 years - he stood up for local growers when directors at Saltram wanted him to stop buying their fruit, breaking the deals Peter had made with them and effectively ruining their livelihoods. Peter refused to let this happen, instead launching his own firm - at the time called Masterson - which was run by his wife Margaret. At first his bosses allowed him to use this as a 'side project', still buying the local growers' fruit and processing it at Saltram, then selling it to other wineries, but when this was disallowed too he chosen to resign from his own job instead of costing the local growers' theirs. This rescue mission was a huge gamble, but he decided to collaborate with others and build his own winery for the 60 families of local growers he was supporting. He took with him from Saltram some incredible winemakers, including Andrew Wigan and Charles Melton. They continued processing the fruit and then selling it to big companies, but Peter could see the bulk wine market was crashing, and he and his team decided to embark upon creating their own range of wines instead. Therefore, in 1982, Masterson was renamed Peter Lehmann Wines. More than three decades later, with over 140 families of Barossa growers now part of the company, this is now one of the most respected wine brands in the world. Today, their range is magnificent, ranging from the superb value fruity, food-friendly Weighbridge Chardonnay (£6.76 at The Drink Shop) to his legendary, intensely-flavoured, rich, complex Stonewell Shiraz (£32.99 at Ocado) which is a benchmark of Australian wine excellence. He has been a man for all people throughout his life, and his wines shall remain a truly outstanding legacy of a man that cemented Australian wine's ever-fond place in wine lovers hearts and cellars. Our thoughts are with his family at this time, but we hope that his wife, children, and several grandchildren can take some comfort from the incredible affection the entire wine industry has for Peter Lehmann, who was truly a wonderful man. Peter Lehmann Weighbridge Cabernet-Merlot - £6.76. Firm black fruits, excellent cheese wine. Peter Lehmann Layers White - £8.86. Gorgeous blend of semillon, muscat, gewurztraminer and pinot gris. Peter Lehmann Botrytis Semillon - £9.38 per half. Luscious dessert wine. Peter Lehmann Art Series Semillon - £9.52. Soft, clean, fruity white, perfect with fish. Peter Lehmann Art Series Shiraz-Grenache - £9.52. Fresh, fruity, with soft spice. Peter Lehmann Eden Valley Chardonnay - £10.97. Rich, barrel-fermented, wonderfully pure Chardonnay. 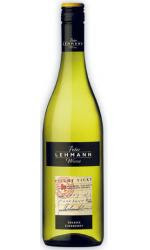 Peter Lehmann Masters Wigan Riesling - £11.83. Zesty, honeyed Riesling showing just what Andrew Wigan can do. 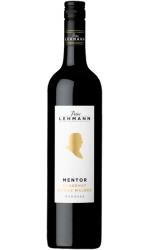 Peter Lehmann Mentor - £16.89. A rich, dark blend of cabernet and shiraz, with a hint of spicy malbec. Peter Lehmann VSV 1885 - £25.32. Truly special old-vine shiraz, with deep, chocolatey flavour and delicious long length.